A tonal luminescence adorns the Donna Karan Luna Duvet, taking this woven jacquard to a luxury level of style. 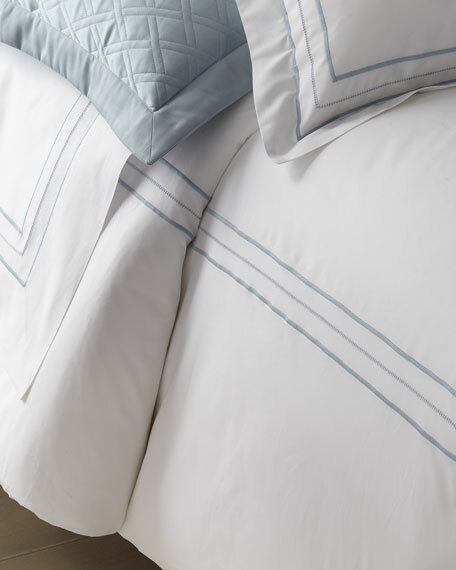 Like the gleam of moon light in the nights sky, the repeating pattern of celestial inspiration will have you stargazing all night. 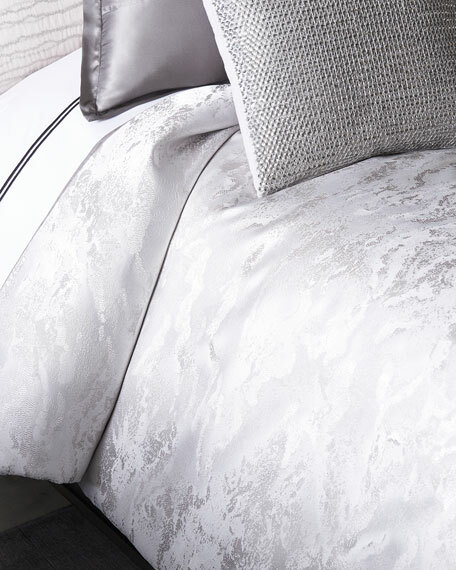 Layered embroidery on sheer transcends the Donna Karan Platinum European Sham into the cosmos. 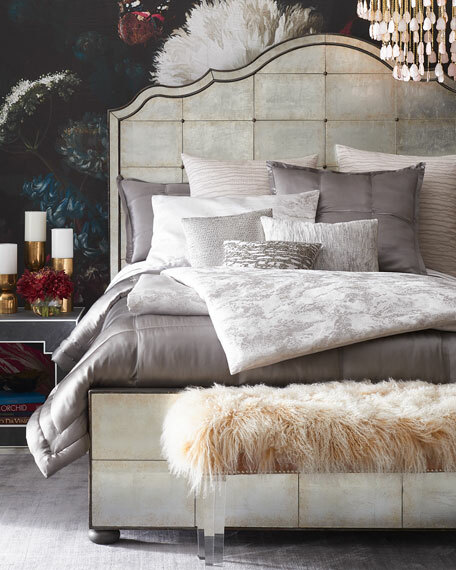 The polished sham illuminates this celestial collection with its sheer overlay and beautiful embroidery, adding finesse to the collection. 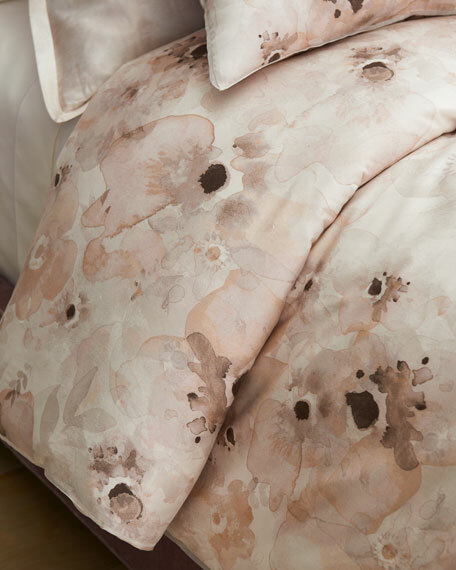 A tonal luminescence adorns the Donna Karan Luna Sham taking this woven jacquard to a luxury level of style. 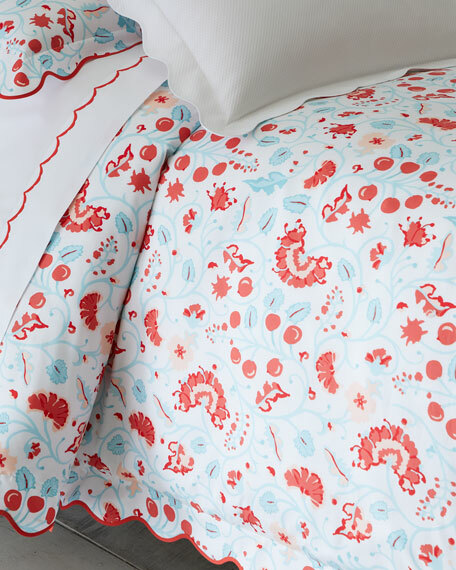 Like the gleam of moon light in the nights sky, the repeating pattern of celestial inspiration will have you stargazing all night. 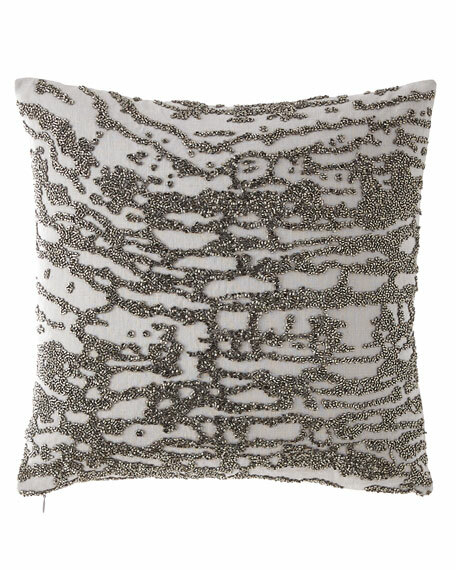 Interstellar style is presented in the Donna Karan Platinum Sequin Decorative Pillow. 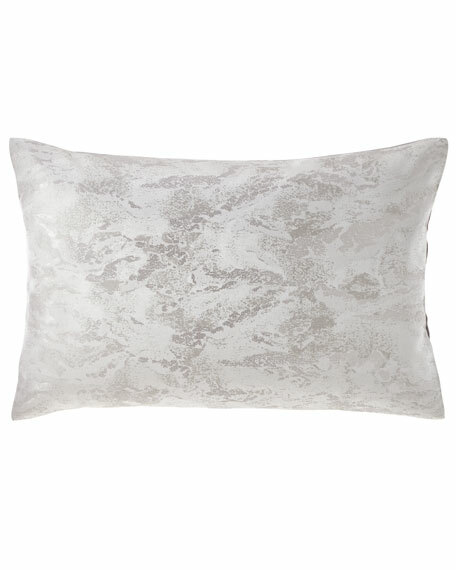 Detailed in silver sequins this pillow is 100% cotton exclusive of decoration, and delivers on stargazing gleam. 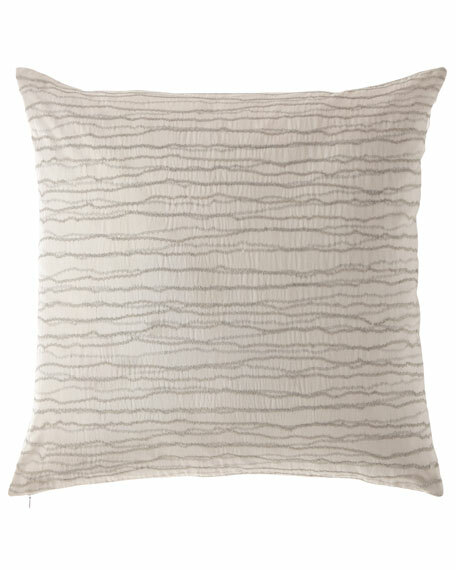 The Donna Karan Pleated Tie Dye Decorative Pillow is crafted in pleated architectural elegance. The all over pleat in a tie dye inspired color way of metallic exudes femininity. 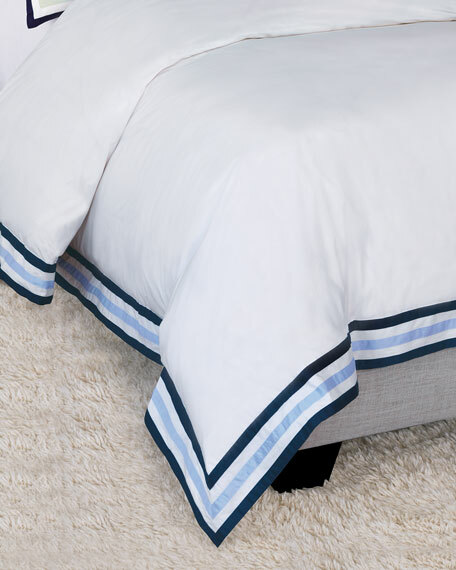 Constructed of 100% cotton voile the pillow is beautifully crafted. 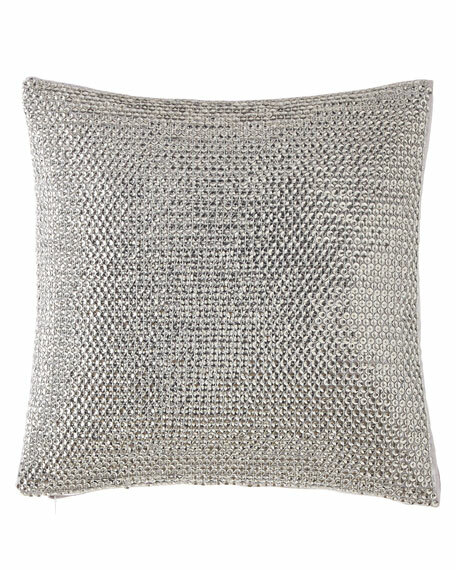 The Donna Karan Platinum Beaded Decorative Pillow has a mystifying look with its cascades of dark grey beads parallel to the ambiguous cosmos and metallic sheen similar to glistening stars. 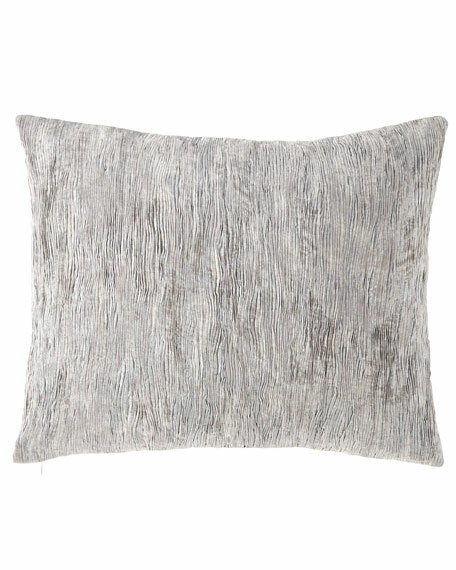 This pillow shines with elegance and complements the collection of interstellar style.